With big-name rookies – like Toronto’s Auston Matthews and Mitch Marner, the New York Rangers’ Jimmy Vesey, along with Winnipeg’s Patrick Laine – turning heads with their play, it might be easy to get lost in the shuffle. Not the case when it comes to Werenski. Selected eighth overall by Columbus last year, the 19-year-old was given a shot to make his mark with the Blue Jackets in 2016-17. It’s safe to say he hasn’t wasted the opportunity. In 24 games, Werenski has six goals and 11 assists. He’s also consistently earned lofty praise from teammates and coaches. Through it all, the former University of Michigan standout is constantly reminded of the words his parents shared with him well before he stepped into the NHL spotlight. He also hasn’t forgotten his hometown roots. Located less than 10 miles from downtown Detroit - Grosse Pointe, Michigan, a city of just over 5,000 people, is known for its stately tree-lined streets and lakeside recreational facilities. Accomplished film director, producer and screenwriter, the late John Hughes (responsible for a slew of 1980s hit films, including “National Lampoon’s Vacation”, “Sixteen Candles”, “Ferris Bueller’s Day Off“, and “The Breakfast Club”), called Grosse Pointe home for the first 12 years of his life. 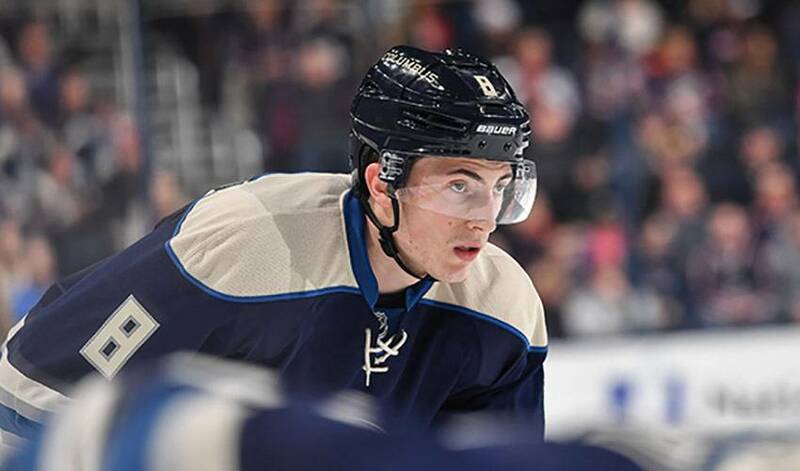 While he doesn’t get home as often as he’d like, Werenski keeps in touch with his family on a regular basis, sharing stories of life in the NHL and catching up on all the news from his hometown. There also plenty of phone calls between the rearguard and his father, Ken, a Grosse Pointe policeman, firefighter and paramedic. The two continue to share a close bond. So, too, would a reminder that he’s one of hockey’s top young talents.